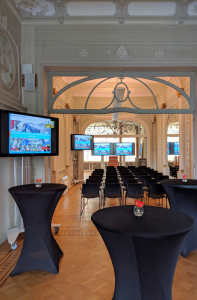 Maastricht University (UM) Campus Brussels provides a space at the core of the European capital in order to leverage research expertise prevalent within UM. As such, it acts as a research community hub to connect UM researchers to EU policy-makers and to a community of international scholars working on the EU and beyond. This in turn creates synergies and further opportunities for international research collaboration. The Campus also functions as UM embassy. This reaches from gathering information for UM to building a strong network of contacts. The Campus is also a first point of contact and a “linking pin” for UM staff, students, alumni, and partners with Brussels stakeholders. Offices are available for rent within the Campus to further enhance collaboration between the UM and external partners within the realm of teaching and training. 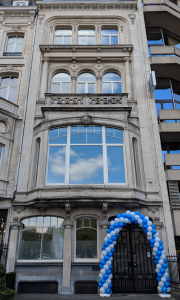 Within its teaching and training ‘pillar’, UM Campus Brussels offers education and training for professionals with executive courses on issues such as Data Protection and Risk Governance and with part-time PhD Programmes in European Studies and in Law. • Large network of contacts of both professionals and academics in EU affairs.